This book review was published by Slashdot, 2015-03-23 . Programmers familiar with the language and its community may recognize the author's name, because he is the creator of PHP The Right Way, a website which he describes as "an easy-to-read, quick reference for PHP popular coding standards, links to authoritative tutorials around the Web and what the contributors consider to be best practices at the present time", in 21 different languages. Yet rest assured that the book under review is not merely a dead-tree version of the website. Instead, the book covers the more recent advancements within the language, while the website covers best practices and standards. This should be borne in mind, otherwise the reader may be baffled by the absence from the book of certain topics on the website essential to the language, such as SPL, PEAR, and PHPDoc. Moreover, of the topics shared between the book and the website, the information is generally organized quite differently, with more example code in the book. This title was published on 1 March 2015, under the ISBN 978-1491905012, by O'Reilly Media, who kindly provided me with a review copy. Its material is presented in 268 pages, organized into 13 chapters (The New PHP; Features; Standards; Components; Good Practices; Posting; Provisioning; Tuning; Deployment; Testing; Profiling; HHVM and Hack; Community), which are grouped into three parts (Language Features; Good Practices; Deployment, Testing, and Tuning) — as well as two appendices (Installing PHP; Local Development Environments) and an index. The publisher's page does not offer much of interest. However, all of the example code is available from the book's GitHub repository. There are differences between the GitHub code and what is printed in the book, e.g., a baffling require 'vendor/autoload.php'; in the first example code file. The author claims that the reader does not need to know PHP, but at least "a basic understanding of […] fundamental programming concepts" (page xiv). However, anyone without at least intermediate skills and experience with PHP could conceivably struggle with these more advanced subjects. The first chapter is only a brief overview of the history of PHP, its current state, and some possible future changes to the language's engine. The real content starts in the second chapter, in which the author gives the reader a fast-paced introduction to his seven favorite major new features in PHP: namespaces, class interfaces, traits, generators, closures, Zend OPcache, and the built-in HTTP server. In some regards, the coverage is a bit too fast-paced, as some topics and questions likely in the reader's mind are not addressed — for instance, namespace case-sensitivity and techniques for ensuring that a chosen namespace is globally unique (page 9). For each topic, its purpose and advantages are explained, and sometimes illustrated with code examples, although none are extensive. The second part of the book opens with a chapter on some of the new standards in the PHP ecosystem that are intended to move the common development process from a reliance upon one isolated framework, with an idiosyncratic coding style, to distributed components that can interoperate through the use of interfaces, industry-wide coding standards, and the use of autoloaders for finding and loading classes, interfaces, and traits at runtime. Components are covered in more detail in the subsequent chapter, as is Composer, for installing components and managing dependencies. The fifth chapter is a lengthy but information-packed exposition of numerous best practices regarding input data sanitization, password handling, dates and times, and safe database queries, among other topics. 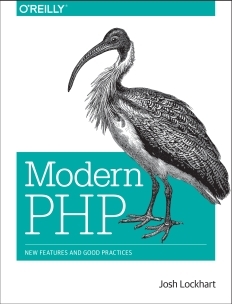 Some of the advice can be found in other PHP books and online, but all of this is neatly explained, updated with the newer PHP versions, and worthwhile as a refresher. Deployment, testing, and tuning are the broad subject areas of the third and final part of the book. The author discusses the options for hosting your PHP applications, as well as provisioning any self-managed web server and tuning a server for optimal performance. All of the instructions assume you are using Linux and nginx, and thus would be of less value to those using Windows or Apache, for instance. The material on application deployment is relatively brief, and focuses on use of the Capistrano tool. Testing is often neglected in real-world projects, but certainly not in this book, as the author explains unit and functional testing, illustrated through the use of PHPUnit. This is followed by information on how to use a development or production profiler to analyze the performance of your application, with detailed coverage of Xdebug and XHProf, among other tools. The next two chapters dive into topics related to the (possible) future of PHP — specifically, Facebook's HHVM PHP interpreter and their Hack derivative language. The final chapter briefly discusses the PHP community. The two appendices explain how to install PHP on Linux or OS X for commandline use, and how to set up a local development environment. The author mentions a free edition of Zend Server, but the vendor page mentions no such pricing. Despite its technical subject matter, this book is not a difficult read. The author's writing style is usually light and friendly, especially in the preface. In a few places, the phrasing is a bit too terse, which might prove momentarily confusing to some readers, e.g., "Function and constant aliases work the same as [those of] classes" (page 11). The text has some errata (aside from the two, as of this writing, already reported): "curl" (pages 15, 220, and 222; should read "cURL"), "a an argument" (page 33), "Prepared statement [to] fetch" (pages 99 and 100), "with [the] php://filter strategy" (page 110), "2 Gb" (page 129; should read "2 GB"), "the the" (page 154), "path to a the code" (page 176), and "Wordpress" (page 190; should read "WordPress"). One weakness with the book is that for several of the topics — including some critical ones — there is not enough detailed information provided that would allow one to begin immediately applying that technique or resource to one's own coding, but instead just enough information to whet one's appetite to learn more (presumably from another book or a website). Secondly, some of the narrative — particularly near the end of the book, when discussing various tools — would be of less value to anyone not developing analytics environment. Beware that some of the tools require numerous dependencies. For instance, do you have Composer, Git, MongoDB, and its PHP extension installed? If not, then you won't be using XHGUI. 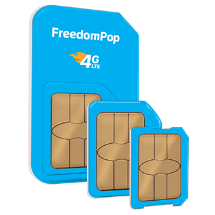 Also, some of the installation and configuration steps are quite lengthy, with no details provided for troubleshooting issues that might arise. Lastly, despite the promise that any reader with only basic programming knowledge will be able to fully understand the book, such a reader would likely find much of its contents mystifying without further preparation from other sources. Nonetheless, the book has much to offer, despite its slender size. Numerous resources are recommended — most if not all apparently vetted by the author, who clearly has considerable experience in this arena. Some valuable techniques are presented, such as those instances in the text where the author shows how to use iteration on large data sets to minimize memory usage. In addition, the example code demonstrates that the author has made the effort to produce quality code that can serve as a model to others. Modern PHP does a fine job overall of explaining and advocating the newer capabilities of PHP that would attract developers to choose the language for building state-of-the-art websites and web applications.